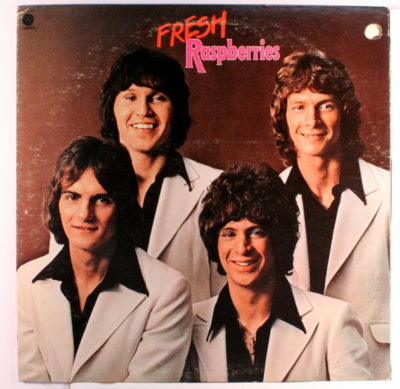 Do you remember The Raspberries? Walk down nostalgia lane with me, my friend. The year was 1972 and your fearless leader, then at the ripe old age of eight, had discovered his passion for magic and the love of the band, The Raspberries. My dad bought their first album for me, and I played it over and over again. Here’s a picture. Dig those suits, man. Yesterday, I found the album on YouTube, played it and liked it just as much as I did what feels like a lifetime ago. I also remember the “cool kids” poking fun at me because I liked the Raspberries. Little did they know, that John Lennon, Bruce Springsteen, and other rock royalty were huge fans of Eric Carmen and the boys, as well. The point of this is to be who you are in your marketing, when you speak on stage or do webinars, when you send emails or newsletters, etc. Let your “audience” into your life. This builds a trust and rapport and people buy from people who they like a trust. If you want the ultimate competitive advantage, let your personality shine through.